Featuring beautiful green undertones for a neutral yet elegant look..
Optima Olive 2 in. x 2 in. 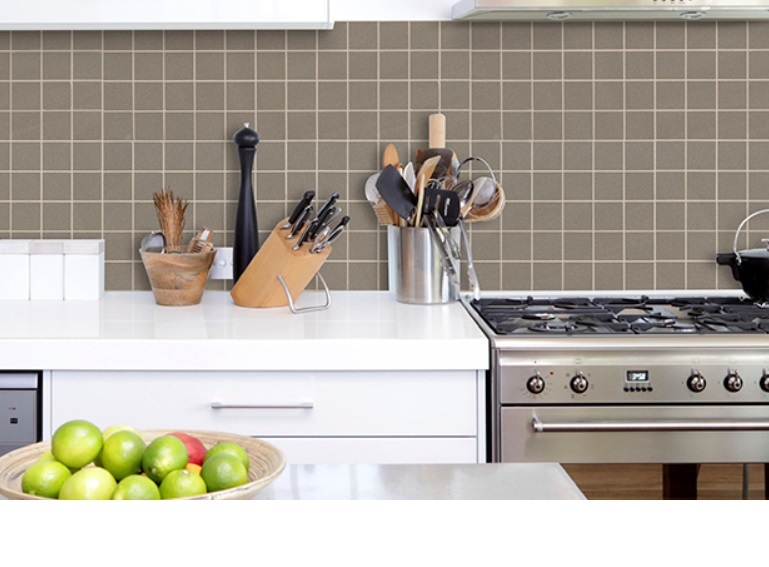 Mosaic Tile featuring beautiful green undertones for a neutral yet elegant look. The union of fashion and function, this neutral porcelain tile stands the test of time on floors, walls and backsplashes—even in the busiest commercial settings. The perfect choice to create a clean canvas with endless potential, these solid toned petite square mosaic tiles are a favorite among designers and contractors. Coordinating 12x24 tile and 24x24 tile are also available. This is a rectified tile, mechanically finished on all sides to achieve uniformity. Its precise sizing allows for a thinner grout joint, which results in a clean, professional install and reduces staining issues.